Based on the novel by Frances Hodgson Burnett (The Secret Garden), is this lavish British gothic drama with a terrific cast that includes Lydia Wilson as Emily, an educated, but poor Lady's Companion to Lady Maria, who is played stunningly by Absolutely Fabulous Star Joanna Lumley. After accepting a marriage proposal from her employer's nephew (Linus Roache), Emily finds solace in her employer's other nephew, played by James D'Arcy (Hannibal) as well as his wife (Hasina Haque), but soon becomes controlled and isolated after her husband to be rejoins his regiment. The Making Of A Lady: Original UK Edition is presented in 1080p full HD in a (1.78:1) widescreen aspect ratio coupled with a rich English Stereo Soundtrack and includes English Subtitles for the Deaf and Hearing Impaired encoded as an option. 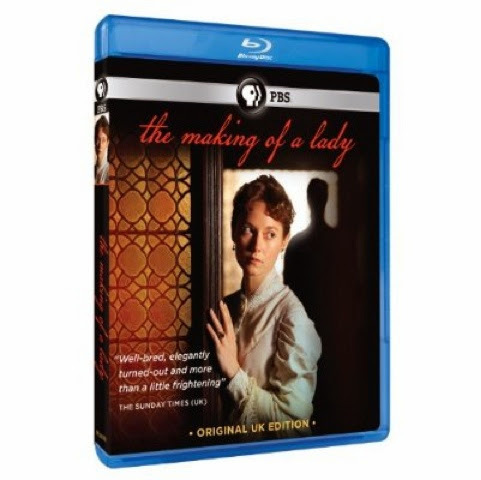 The Making Of A Lady: Original UK Edition will debut on Blu-ray Disc at retailers on and offline on Tuesday, April 15, 2014 courtesy of PBS Distribution.